We historians get very busy when centenaries come around. I found that out back in 2003 when the Boggo Road Gaol Historical Society organised the Centenary Open Day to mark the opening of Boggo Road’s No.2 Division back in 1903 (when it was known as the Prison for Women). These days there is always some kind of anniversary going on, be it the 45th, 80th, 135th, whatever, it seems that any old round-ish number will do for a commemoration. Truth be told, I’m not a fan of all these ‘110th’ or ‘65th’ anniversaries we see being bandied around all the time now. It makes the more numerically-significant commemorations so much less special, and half the time it’s just impatient people trying to milk a bit of publicity. 2013 brought us two actual centenaries, with 1913 seeing the end of one thing and the beginning of another. These were the last hanging to take place in Queensland, and the founding of the State’s premier historical organisation, the Royal Historical Society of Queensland. It was the morning of Monday 22 September 1913 when convicted murderer Ernest Austin was ‘launched into eternity’ on the Boggo Road gallows. Nobody there (except Austin) could have guessed that this was to be the last time they would be required to go through the ritual of judicial execution. Plenty more men were sentenced to death over the following nine years but they all had their sentences commutated. In 1922 Queensland became the first part of the British Empire to abolish capital punishment and Austin took his place in history. He was the 94th person to be hanged in Queensland (including the pre-Separation years) and despite the horror of his crime - the brutal murder of 11-year-old Ivy Mitchell near Samford - he was by no means the worst or the most interesting of those who were executed here. Nonetheless, being the ‘last hanged’ brings with it a certain kind of infamy and Austin’s name is invariably evoked in shortlists of famous prisoners. 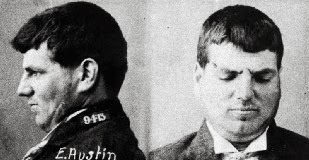 At times like this, the historical significance of public attitudes to capital punishment in 1913 is probably of more importance than revisiting the gory details of the demise of Austin and his victim for shock value. The other centenary tied in neatly with the last hanging. On Sunday 2 June 2013 the RHSQ hosted a Centenary Open Day at their Commissariat Store home on William Street in the city, with special exhibitions, classic cars, food, and a series of public talks, one of which was given by the Boggo Road Gaol Historical Society. 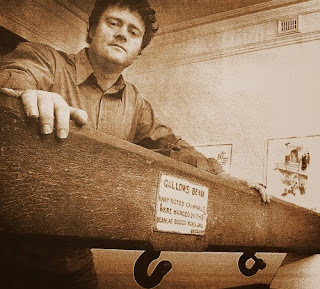 We were also on hand to chat with visitors about the Boggo Road hanging beam that the RHSQ had on display there. This beam was still housed in the case that BRGHS members made for it when I curated the ‘Gallows of Boggo Road’ exhibition at Boggo Road itself back in 2005. I also presented a paper at the RHSQ Centenary Seminar, and the subject matter was of course the 1913 hanging. The article for that talk can be fond in the Queensland History Journal. 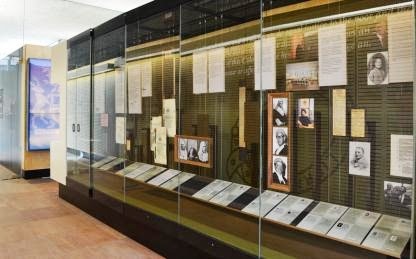 Later that year the Supreme Court of Queensland began hosting a new exhibition in the Sir Harry Gibbs Legal Heritage Centre to mark the centenary of the last hanging. I did consultation work with them on this project, including writing an article for the exhibition catalogue. So, yes, centenaries are a great opportunity for historians to get some much-needed work as we attempt to convince the public that this-or-that is interesting and important, and it’s especially useful good to work around genuinely-significant dates.